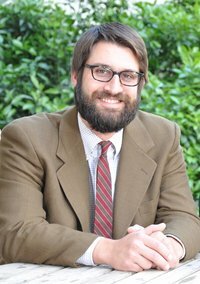 Silas W. Allard (JD/MTS ’11) recently published an article entitled “In the Shade of the Oaks of Mamre: Hospitality as a Framework for Political Engagement between Christians and Muslims” in the journal Political Theology. The article “[uses] the story of Abraham and the three strangers, [to] analyze hospitality as a possible model for interreligious political dialogue.” Allard’s “goal is to show that a shared theological tradition could be the basis for political dialogue.” He looks to the theme of hospitality in the story of Abraham and the three strangers, not only as an example of a common religious value, but also as a “metaphor for how to engage in a political theology of hospitality.” Ultimately, for hospitality to be a genuine act, Allard argues it must cross religious and political lines. The transformative power of hospitality, as demonstrated through the promise of a son for Abraham and Sarah, is also available politically. A more interdependent and mutual relationship between Christians and Muslims, Allard suggests, can lead to “more effective social policy.” Given the hostility with which Islamic law and finance practices are viewed in sectors of the United States, Allard offers a provocative, yet timely, argument for our increasingly globalizing and diverse society. You can read the article by clicking here.